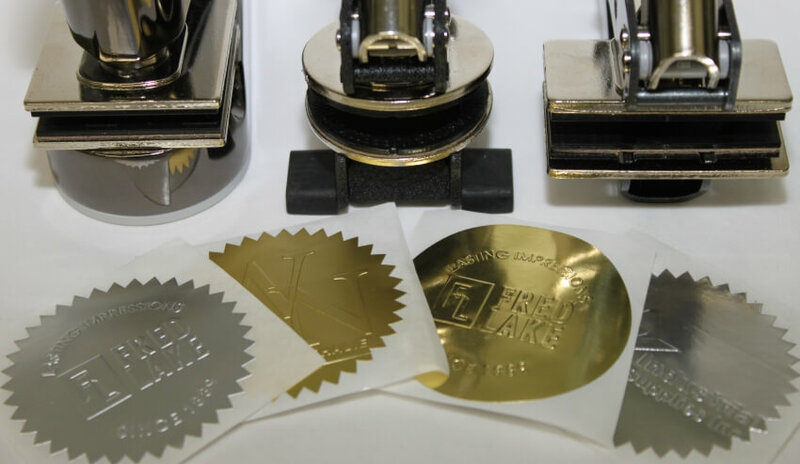 Use any existing desk or hand held embosser to add prestige to your brand with our gold and silver foil embossing labels. Now available in traditional starburst and round shapes. Other colors and shapes are available by special order. SPRING LABEL SALE EXTENDED THRU MAY 31st! Between now and May 31st, 2018, all foil labels are 50% off our normal $6.50 sales price (2 for 1)! Some quantities may be limited. Act now!